Welcome to another Becoming A Modern Man! I've been looking at some pretty mainstream decklists in my past couple of articles so I thought it would be a good time to take a look at something a bit more left-field. There have been a number of Hollow One -based decks running around recently and one from the leagues caught my eye. It was fairly quick and easy to build and a lot of fun to play. 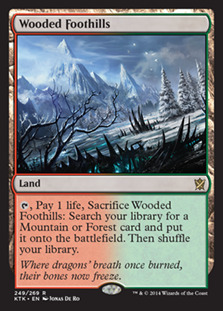 The decklist is fairly budget friendly, with the exception of the fetchlands, and Bloodghast is due to be reprinted in Iconic Masters which will inevitably drop its price. 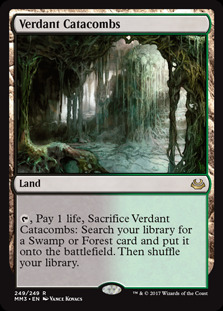 A lot of the main deck cards are commons and rares from recent sets and so it should be relatively easily to build this deck compared to many other Modern decklists. 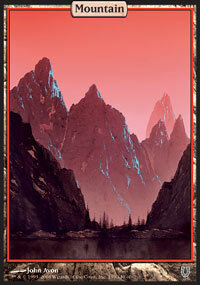 This recent one-drop was a card that I identified as potentially having a home one day. This seems to be the best home yet. The deck is very focused on discarding or cycling multiple cards a turn which means that this Jackal can really back a punch. 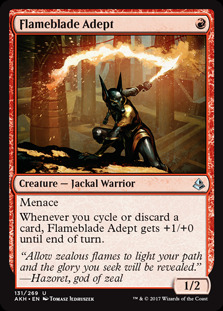 Menace makes the Flameblade difficult to block for most decks and you can easily hit for 3 or 4 with the Flameblade. Also, things start to get crazy if you can chain 2 copies of Burning Inquiry together or really any of the one-mana discard spells. 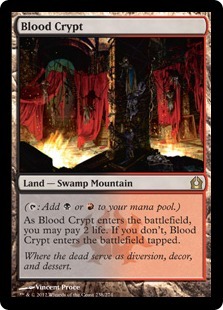 Bloodghast likes being in the graveyard and can be quickly brought back to play by dropping lands. 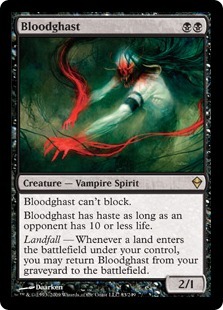 Bloodghast helps us add additional threats to the board quickly and is a card we can happily discard at the earliest opportunity. Flamewake Phoenix is quite an inspired choice and not one I would have thought of. Hollow One and Gurmag Angler both trigger Ferocious so we can get Flamewake back from the graveyard at the beginning of combat for one red mana. It's also possible to make Flameblade Adept big enough to trigger Ferocious, though this is much more rare. We then have a 2/2 hasty flyer swinging into the red zone each turn. 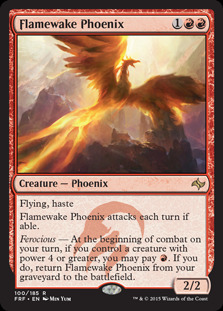 Phoenix fills a similar role as Bloodghast in that it's another creature we can get back from the graveyard and allows us to widen our board presence. Having to keep up a mana to bring it back can be frustrating though. It's a somewhat expendable card in the deck and is certainly not an essential but it can be useful to have an evasive threat if the board ends up stalling. The deck's namesake. 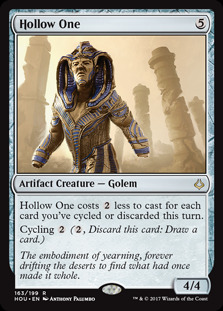 Hollow One is a 4/4 with a converted mana-cost of 5, which importantly puts it out of Fatal Push range. 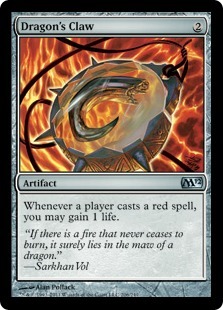 By discarding 3 cards in a turn, such as off a Burning Inquiry , you can cast it for free and by discarding 2, like a Faithless Looting , you can cast it for just 1-mana. You can cast Hollow One as early as Turn 1 with this deck and getting an early 4/4 on the board can be devastating against many decks. 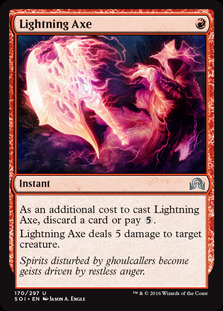 Again, the importance of Hollow One being immune to Fatal Push cannot be overstated and it's also big enough to be out of Lightning Bolt range. As such it's quite difficult to answer. 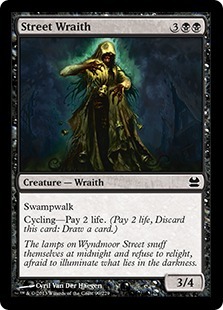 Street Wraith is a free cycle which makes it an excellent way to discard an extra card to pump your Flameblade Adept , reduce the cost of Hollow One or put an extra card in the graveyard for Gurmag Angler . A lot of the most ridiculous early turns the deck is capable of happen with Street Wraith as it gives you more opportunities to discard 3 cards in a turn to make Hollow One free and digs you that bit deeper into your deck. One of the biggest Delve creatures available. The same principle applies as with Hollow One here. We are looking to cast this as quickly as possible as it dominates the board. 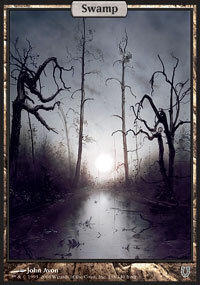 The decks sees and discards a lot of cards and so casting an early Angler is relatively easily. 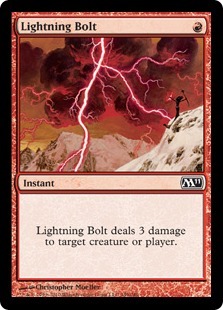 Bolt is not an essential card in the deck, however, it is still a great removal spell for problem creatures and a way for us to close out the game with direct damage. It's also a useful way to deal with Planeswalkers if you happen to come up against them. 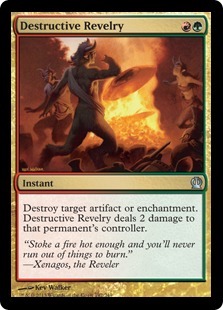 It lacks synergy with the rest of the deck but it has a lot of value for us and so is something of a necessary evil. Looting is our best discard card or at least our most controlled one. 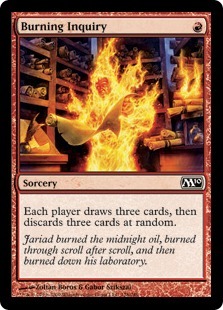 It doesn't cause you to discard as many cards as Burning Inquiry but it gives us a lot more control over what we are discarding so we can get maximum value. 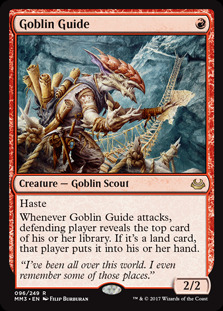 One of the more powerful discard spells in the deck in that it allows us to pitch 3 cards, instantly satisfying Hollow One s requirements, giving Flameblade Adept a +3/+0 attack boost and filling up our yard for Gurmag Angler . The downside is that the discard is random and it can be very hit-and-miss what hand you end up with after Inquiry resolves. Pitching Anglers and Hollow Ones can be very frustrating but you kind of have to embrace the chaos. There are a lot of cards in the deck that are better in the graveyard or give some sort of bonus when they are discarded so the upsides generally outweigh the downsides. One thing that has caught me, and you should bear in mind, is that you may want to be careful playing this card late game. The effect is symmetrical and resolving Inquiry may give your opponent a chance to find an answer that they weren't otherwise holding. 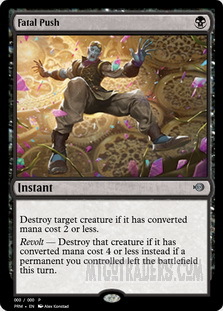 The other side to that particular coin is that Inquiry can unintentionally mess with your opponents' strategies and cause them to discard key cards. Call to Netherworld is some pretty cool tech for the deck. It can be cast for free when discarded and adds another card to your hand which is gives you more discard fodder. 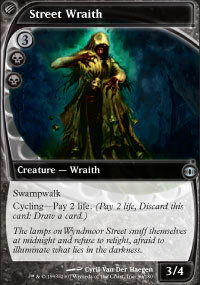 Most commonly I use Call to the Netherworld to return Street Wraith to hand to cycle it again which is an additional discard and draw. This is our third major discard outlet in the deck. You have to discard upfront which can be problematic against countermagic but it also draws us 3 new cards which allows us to see quite a lot deeper into our deck. 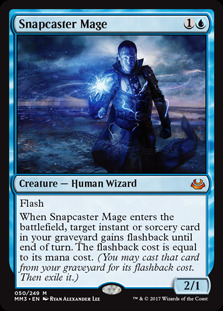 It's slower than our other discard spells but still very powerful. 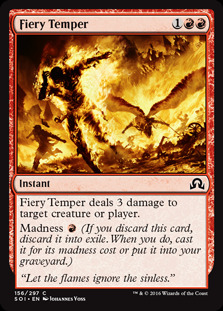 Fiery Temper is a cool inclusion as a powerful Madness card that you can really take advantage of in this deck. 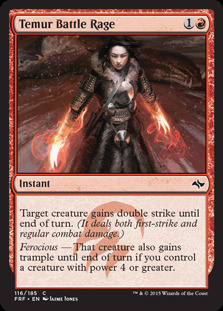 I also like that between the Bolts and the Fiery Temper s you can finish off your opponent with direct damage. That said I was not overly impressed with the card. I think 4 copies is almost certainly too many and I may even consider cutting the card entirely. 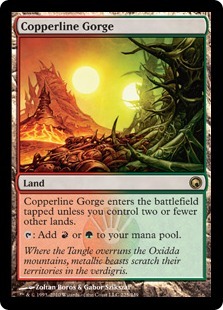 It really isn't an essential and it's also difficult for the deck to keep up mana to cast Temper, as you are generally better off keeping excess lands in hand as discard fodder. 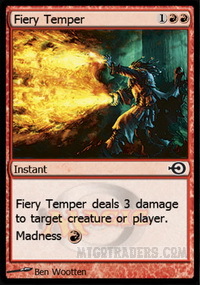 Temper definitely has its uses but I think too often I discarded it and was not able to cast it or I ended up having to hardcast it. I feel like there are better cards we could be running in these slots. The lands aren't particularly exciting and could probably be optimised a bit more. We could possibly do with more copies of Blackcleave Cliffs and I do not think 4 Blood Crypt s is necessary. 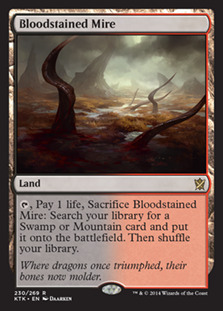 I think you could play around with some of the lands but the fetchlands are unfortunately pretty essential to help you run out an early Gurmag Angler . 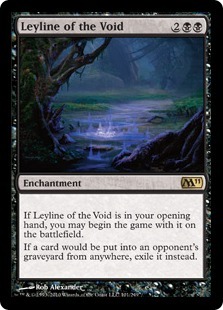 Leyline of the Void is a great way of handling the various decks that are using graveyard shenanigans. 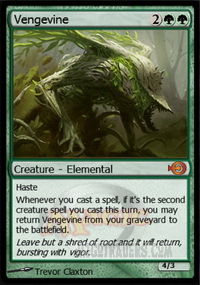 Delve creatures, Snapcaster Mage , Storm, Dredge and various other decks are all looking to abuse the graveyard. 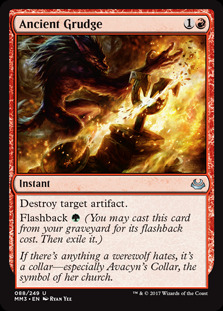 Ancient Grudge is a really strong sideboard card against artifact heavy decks and one that we can cast from our graveyard thanks to flashback. 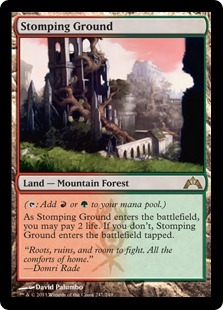 The main deck Stomping Ground is in the deck just to flashback Ancient Grudge. Very good against Tron, Affinity and Lantern Control. Dragon's Claw is a great card against burn. 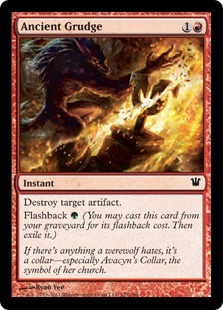 You gain life off of your own red spells too so it can be a decent way of gain life generally though the applications are limited outside of Burn and red aggro. 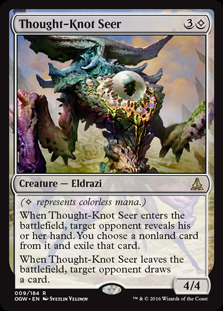 Thoughtseize is a powerful hand disruption spell that we can bring in if we are worried about combo decks or as a way of stripping hate cards out of our opponent's hand. 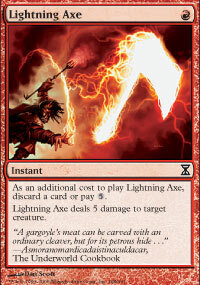 Lightning Axe is a one-mana discard outlet that also is a powerful removal spell that can kill Thought-Knot Seer , Tasigur, the Golden Fang and Gurmag Angler among other popular creatures. Again, I think the sideboard could probably be optimised a bit. I don't dislike the choices but I feel like there might be some better options out there. So how does the deck play? Well let's get to the gameplay. Our first matchup is against Jeskai Control. 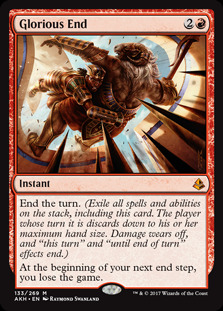 Countermagic and heavy removal can be dangerous but we can drop big threats early and have recurring threats like Bloodghast which can be problematic for them to deal with. Our second matchup is against Zoo. Similar to our deck this deck is looking to deploy a wide board of substantial attackers. Our creatures are generally bigger which means we can but up a good defence and our burn spells can take out most of their creatures. That said the deck can do a lot of damage and has Lightning Bolt and Atarka's Command for reach. Tron is an interesting matchup. 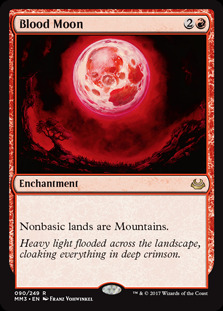 We cannot interact with the lands in any meaningful way but all being well we should be able to beat them down faster than they can start dropping huge threats. 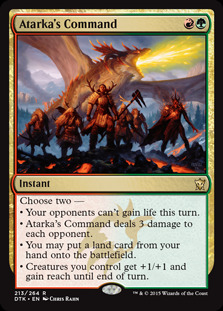 Wurmcoil Engine is a huge problem for us though as a creature that outmatches ours and gives the opponent lifelink. Post-board Ancient Grudge is very helpful in allowing up to disrupt their gameplan. 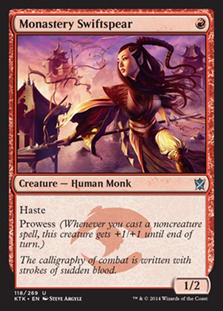 Grixis Death's Shadow is a popular deck in the format. It's also a matchup that I don't think is particularly favourable because they are also able to power out large threats and often ones that are larger than our own. That said between Lightning Bolt and Fiery Temper we can take advantage of their suicidal tendencies and we are also able to go wide on board to squeeze damage past their threats. 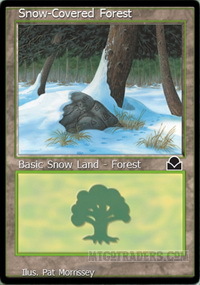 Our final matchup is against Ponza, a deck that is based around Land Destruction. 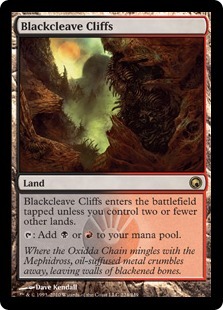 Fortunately for us our deck does not need much in the way of lands to get going and we also have lots of ways to draw cards that will hopefully allow us to seek out lands out in a bind. The other aspect of the Ponza deck is playing huge threats which means we want to finish the game as rapidly as possible. We want to make sure we are coming out of the blocks quickly here. This deck actually takes quite a different angle with a more creature-based aggro aspect and foregoing some of the burn and discard spells for pumps. I would be interested to run this version and compare and contrast them, which hopefully I will get around to at some point. 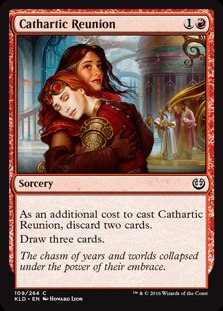 There are some interesting card choices in this version of the deck that we could look into testing in the Rakdos version of the deck. 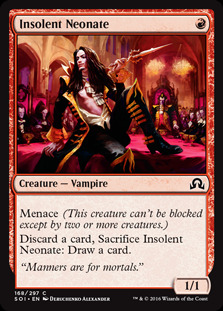 Most interesting to me is Insolent Neonate which I think could be worth testing out in the deck. As I noted in some of the videos, hands without a discard outlet are substantially worse than those with one and so adding Neonate into the mix as an additional one-mana discard outlet and a potential beater seems decent. Playing and learning the different aspects of this deck was a lot of fun. It plays quite a lot differently to other decks in the format and requires you to make some bold decisions in terms of discarding your hand. Unfortunately the deck is fairly high variance. At its best you are dropping multiple Hollow One s on Turn 1 but these scenarios don't come up nearly as often as you would probably like. Fortunately the deck is still pretty solid and while it cannot always do insane things it does powerful things consistently enough to be a good competitive deck. That said it doesn't mulligan particularly well and when your deck doesn't go off you are left with a bunch of underpowered cards. It's the lack of consistency that would lead me to avoiding the deck for any major tournament play but it's certainly competitive enough to run with the top decks in the format. I like this deck and being a relatively budget deck for Modern I would certainly recommend trying the deck out if you want to try out the format or are just looking for a new challenge.